Offering premium quality, the Premium Couch Roll in White has been made from 2-ply bonded paper and is perfect for use in on massage couches or in the medical industry. Our more luxurious offering, this extra thick roll comes in an easy to store design that can be attached to your existing dispenser. 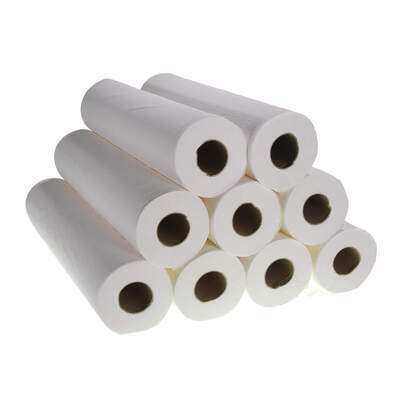 Each sheet within this 50 metre roll has been perforated allowing for a swift and clean tear at the length you require while the entire roll comes polyethene wrapped to keep up optimal levels of hygiene and ensuring each roll stays pristine until needed. Supplied in 9 packs for economical purchase, our premium couch roll is a highly functional and reliable addition to your supplies stock.